The WTBA is an organisation of like minds from all over the world coming together in friendship and harmony (well most times). Erle Montaigue began the Australian Taiji Boxing Association back in 1979. It soon became clear that the organisation had outgrown the 'Australian' part so we changed it to the World Taiji Boxing Association. Erle Montaigue has now handed it down to his son Eli, having trained with Erle from the age of 4. We have a number of Country Representatives around the world. 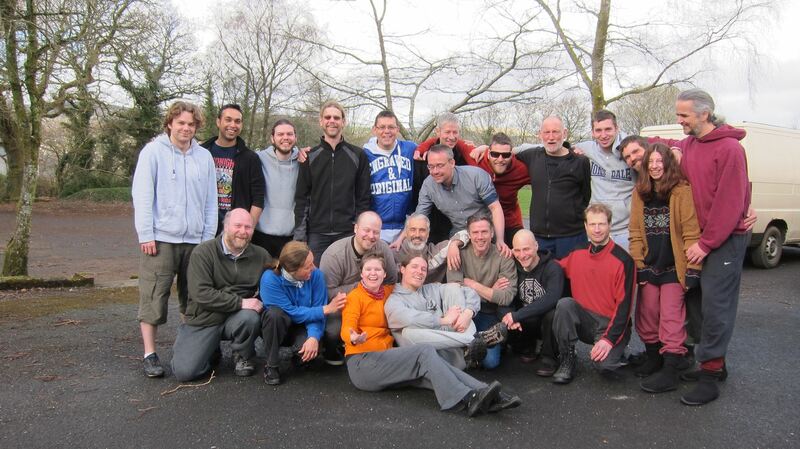 These are students and friends who have trained with Erle and Eli for many years and have risen to a high level of competence in Erle's system of Internal Gung-fu. There is no real hierarchy in the WTBA as this is how Erle Montaigue likes it, plain and simple without titles or bowing down to anyone, just a bunch of friends training together with a like goal of harmony and good health, and along the way some self defence to protect our family. The WTBA has no uniforms or any other patches or other lofty names like 'Sensei' or Master or Loucher etc. We are simply here to help each other up the ladder. However, we do have some items of WTBA clothing in the way of T shirts and Jumpers with the WTBA logo embroidered or screened. You can join the WTBA as a Member, just fill out the form. To become a WTBA instructor however, takes a little more training and assessment.